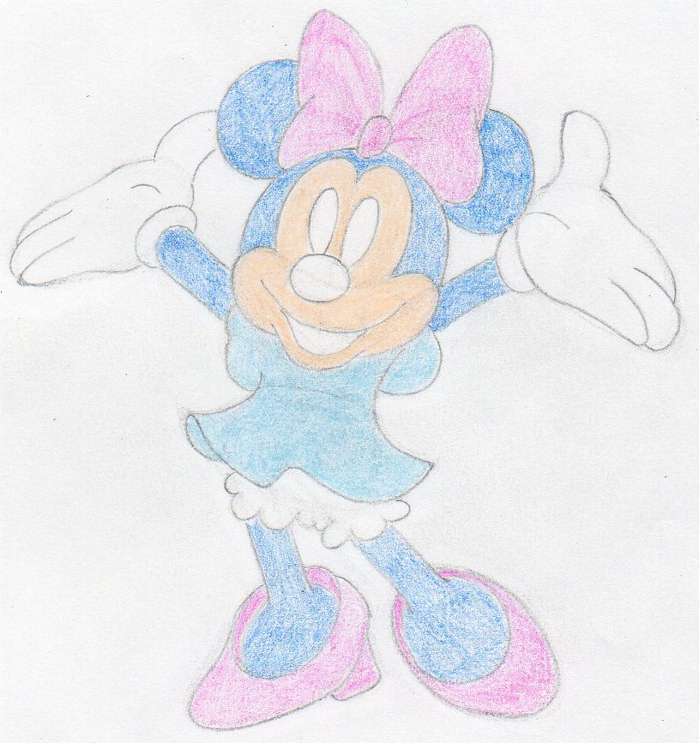 Learning how to draw Minnie Mouse is – I guess – one of the most "want to know how" to draw skills. It doesn’t really matter which one would you start to draw with. So, chose your favorite one and just follow the tutorial. 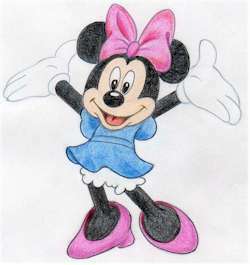 BTW, did you know that Minnie Mouse was created in the year of 1928! Together with Mickey Mouse, both are to this day the most popular among Disney characters. Minnie was originally named as: “Minerva Mouse”. We shall begin step by step from the very simple and loose initial help lines. 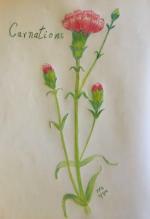 The very first and the most important step before you begin the drawing is a careful observation - as always. Click on the above picture to open it enlarged in new window or tab. Observe as precisely as possible the proportions of the body posture, her pose, see how her legs and hands define the pose. Drawing the Minnie Mouse, I would say, may not belong among the easiest cartoon drawings but if you follow this tutorial you will surely succeed. 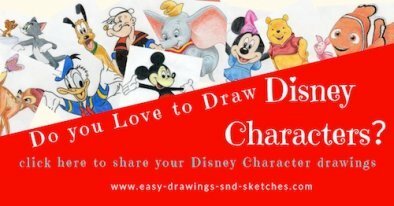 Then you can draw Minnie for someone and make a pleasant surprise. But the most important is that you will surprise yourself as first. 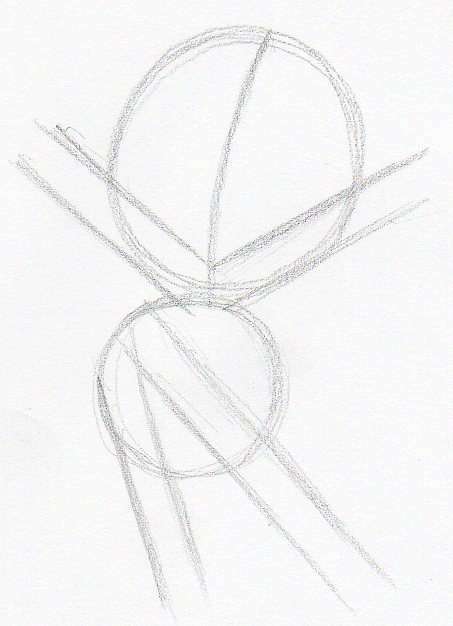 Sketch two circles approximately in the same or similar fashion as you see here. 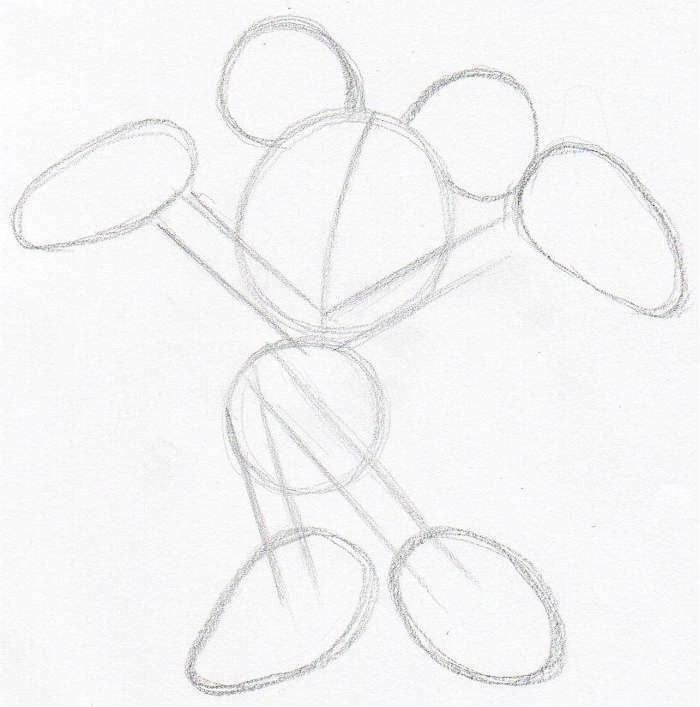 The upper circle represents Minnie’s head and the lower one her body - belly. The upper circle is noticeably bigger than the lower one. This is important! 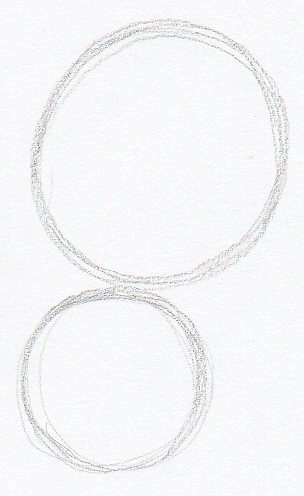 Make sure the size balance between two circles is approximately the same as on this picture so that the final drawing of your Minnie will look perfect and well balanced. In the beginning, always make the outline sketches loose. Later you can erase those initial pencil lines very easily if necessary. Draw a center-guideline in the middle of her face. This round guideline will help you to proportionally balance both sides of Minnie’s face. Center help-line will especially help when you’ll decide the position of her eyes. 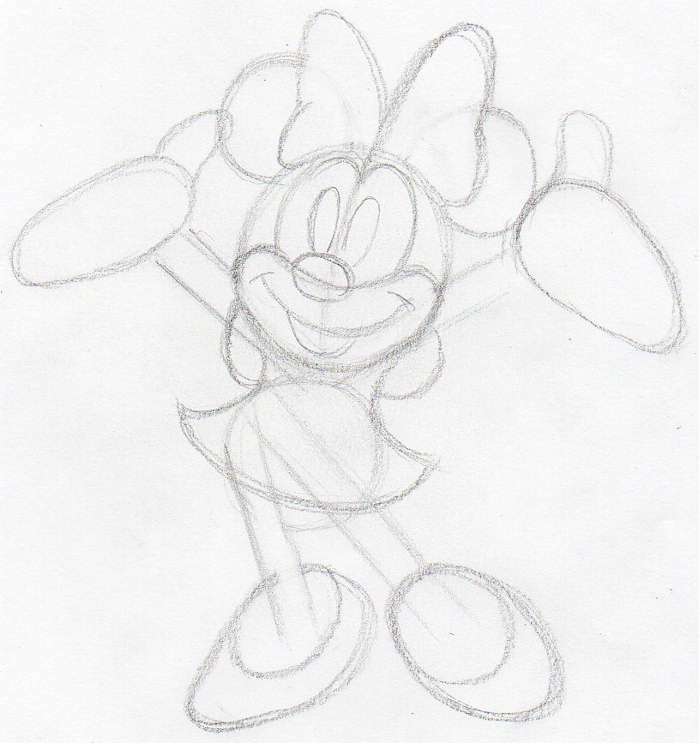 Let’s begin to outline her hands. 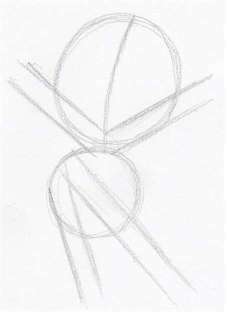 Sketch a “V” – shape thing. The angle between two hands should be approximately the same as you see here, but is OK, if you make the V-shape more open. If possible, don’t make the angle smaller otherwise her hands and fingers might be hidden too much behind her head. 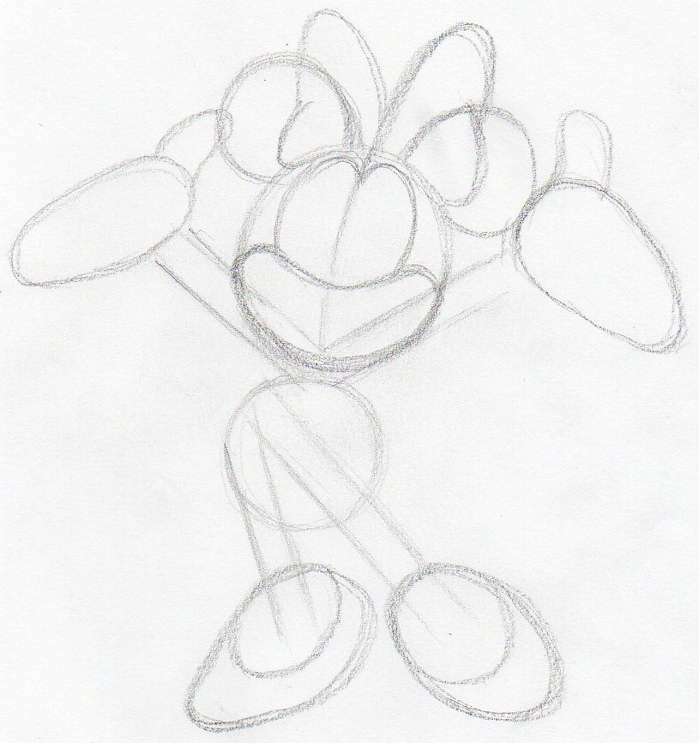 Sketch Minnie’s legs as you see on the picture. Notice that both legs start from the upper side of her body. Make the length of both - hands and legs, approximately the same as you see here. 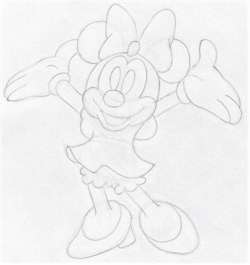 Most likely, you’ve already noticed that the process of how to draw Minnie Mouse is very simple. Sketch the ears. The center guideline across Minnie’s face now comes very helpful as you see. Outline the hands. Both hands look like some oval uneven shapes. 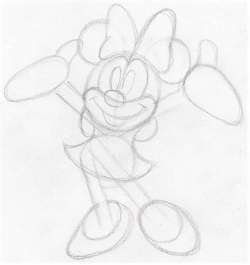 In similar fashion outline both Minnie’s feet. Your Minnie Mouse begins to emerge from the shapeless mist of guidelines. 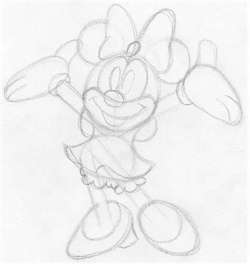 The ribbon on Minnie’s head has a shape of a butterfly. 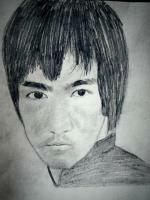 Sketch it in a similar fashion. It does not need to be the same in size or shape. Outline the thumbs (daddy fingers) on both hands. Now comes handy the center line on the head. 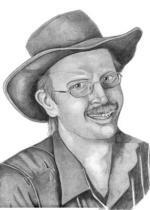 Sketch both eyes and outline the smiling mouth. On both shoes outline the inner rim as you see on the picture. You can erase unnecessary pencil lines if you feel so. It’s good to use a pencil type eraser, if you have one handy because there are so many narrow spaces. Gently outline the mouth, the nose, the eyes and the silhouette of the clothes. 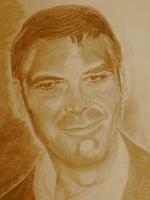 Continue sketching and outlining further details. Fingers, wrist band and the flounce on the skirt. Sketch the heel on her shoe. Also, notice, there is a small brooch on the ribbon on Minnie’s head. Every detail counts so do not rush. Take your time. 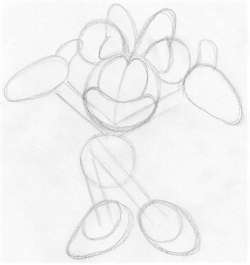 In this step especially, comes handy the pencil type eraser, because we are going to erase unnecessary initial pencil lines in order to draw the final outline and make the final shape of Minnie. After erasing the most of initial guide-lines, you’ll suddenly realize that to draw Minnie Mouse is not that difficult at all. It is because we started from scratch and have built layer upon layer. 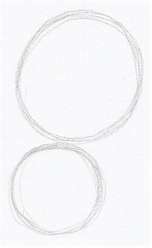 Take a sharpened HB pencil and make a distinctive thin line over each original sketch. 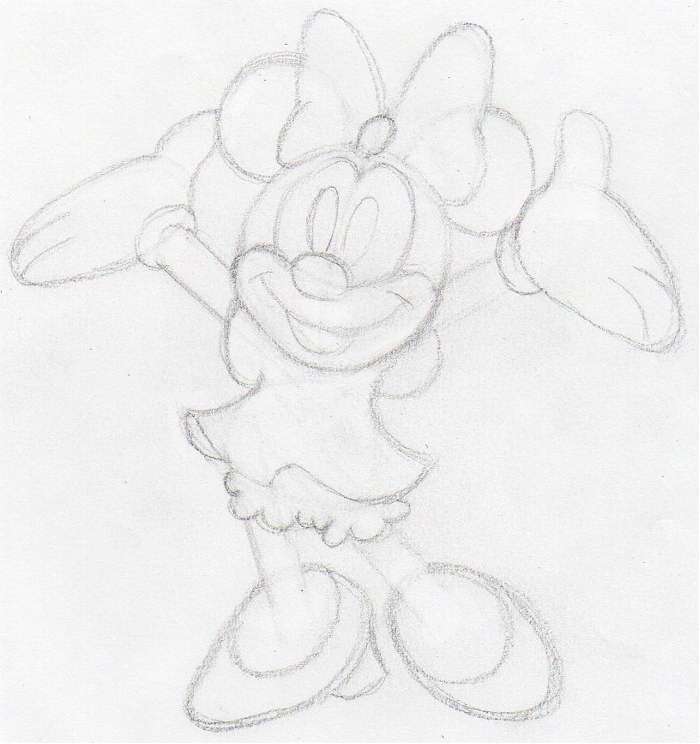 Then erase the rest of initial pencil noise around it so you will get this clear picture of your Minnie Mouse. You came here to learn how to draw Minnie Mouse but now you also have a cool Minnie Coloring Page that you can print out. 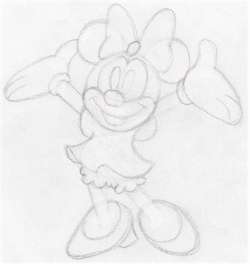 Begin to color the Minnie as you see on the picture. I recommend to color black parts with blue pencil first to get a good base color. Trust me, this method works quite well. 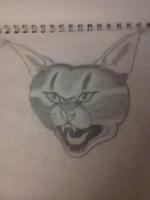 Just observe the sequence of coloring and do it in similar fashion or better. Remember, this is not a fixed unchangeable way of coloring. I encourage you to always try or experiment new ways of drawing or coloring. However, if you are trying new color blends, I recommend doing it first on a separate piece of paper and then color your drawing because color pencils are difficult to erase completely. Continue coloring as you see on the pic. Now, you can work out the eyes and color all black parts. Always leave a small tiny white spot on the pupil of the eye, that makes the eyes look alive. The similar trick works for small bright spot on tip of the nose. Do the same. 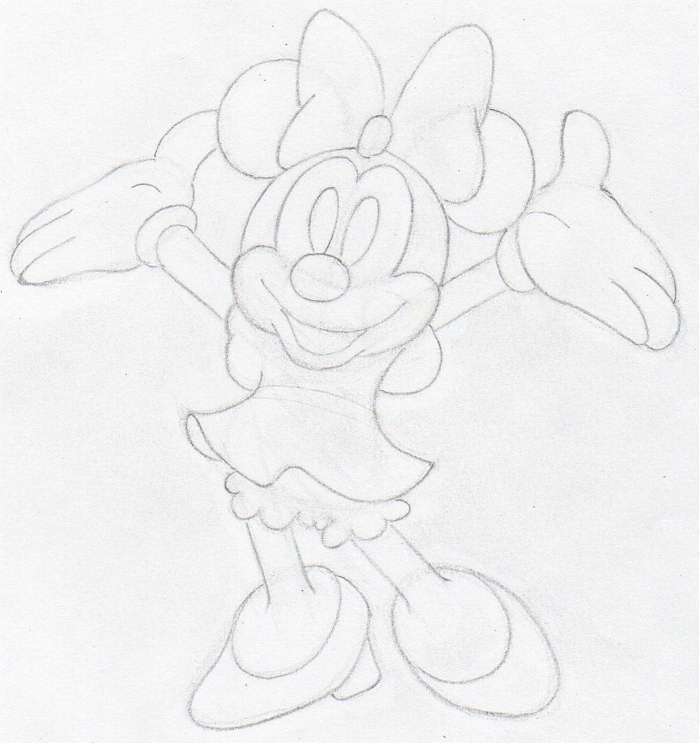 Finish coloring the ribbon, so that you can proceed coloring the lower parts of Minnie. 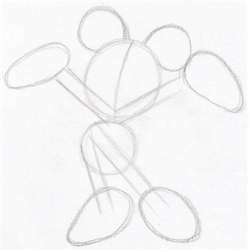 This is the last step in how to draw Minnie Mouse tutorial. Observe well every detail on the picture, every shade on Minnie’s ribbon, on her clothes. Inner part of Minnie’s mouth is colored as one of the last. You can shade her hands and flounce of her skirt (white parts) by a very weak sky-blue color. Blue color can create a very nice and soft type of shade. Experiment with it on a separate piece of paper. And remember; ALWAYS do your best to make your drawing better than mine, because that is the purpose of this tutorial. You do not want to be a copy of me! I would suggest you to always do your best to be YOU because you are unique! I hope you enjoyed this little draw Minnie Mouse lesson as I enjoyed creating this little tutorial for you.